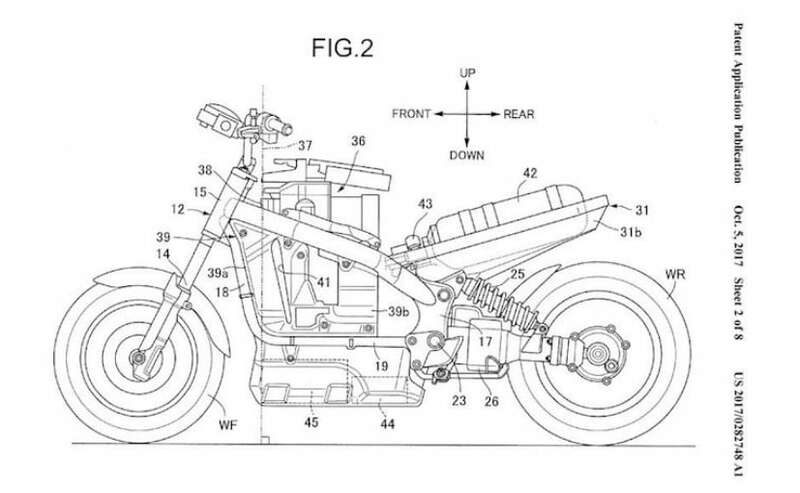 Leaked patent drawings reveal a motorcycle with an electric motor, powered not by batteries, but by hydrogen. Hydrogen fuel cell addresses two of the biggest problems of electric vehicles - refill time and range, but a production model is still some time away. Honda has filed what appear to be patent applications for a future hydrogen fuel cell motorcycle. 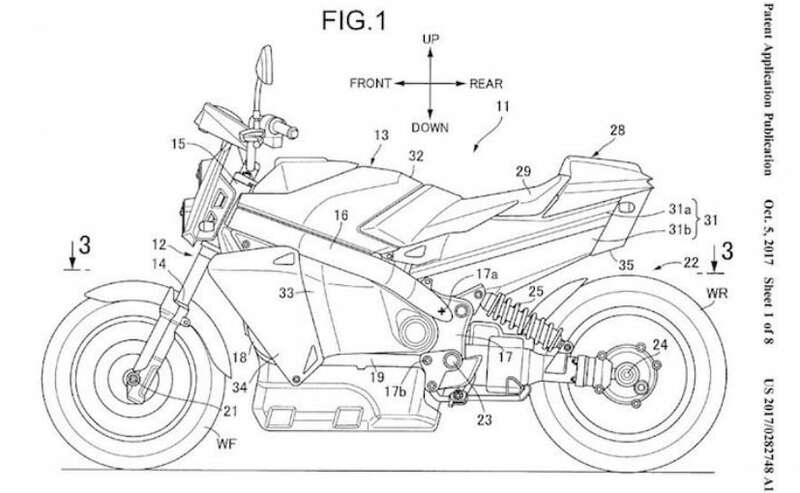 The leaked patent filings seem to show a conventional designed motorcycle, with a shaft driven powertrain, but with a hydrogen fuel cell that is placed under the seat. The fuel cell is a cylinder that contains hydrogen that gets mixed with oxygen over a catalyst, providing electricity for the motor, leaving water as the only waste product. So, technically, the hydrogen fuel powered motorcycle is essentially an electric two-wheeler. A hydrogen fuel cell powered vehicle uses hydrogen as fuel, which is stored in a refillable tank. This has its advantages over a conventional electric vehicle, which may take hours to recharge, while the hydrogen just needs to be refilled. Hydrogen fuel cell vehicles, like electric vehicles, also run clean, and create zero hydrocarbon emissions, and offer good range and mileage. And hydrogen also takes much less time to refuel, provided you can find a hydrogen filling station. As things stand today, the problem is infrastructure, like EVs, and easy access to hydrogen fuel is still not common. Nevertheless, Honda has been working on fuel cell powered vehicles for over a decade now, and now Honda, like other Japanese companies in the fray, have redoubled efforts to develop hydrogen filling stations, as well as electric charging stations, to create an alternate infrastructure which is clean and green for future personal mobility. The patent drawings seem to suggest that Honda is already exploring other options instead of just focussing on electric technology. And if there's a future hydrogen fuel cell powered motorcycle in the works, it's highly likely it could be a Honda. In 2008, Honda released the Clarity, an innovative FCEV (fuel cell electric vehicle) in limited numbers in the US and Japan. But it's not been as widely available, even though the FCEVs solve two of the biggest problems with the existing electric vehicles - range and charging time. And creating a hydrogen infrastructure suitable for use on public roads is still a challenge, primarily because it's a gas and must be highly pressurised and handled carefully, before it can be provided at filling stations. But the writing is clear. As the future moves towards zero emissions, the hydrogen fuel cell could well be an alternative to full electric vehicles.